Hi Jose, thanks for speaking with us. Can you tell us a bit about your foray into the health food industry? Everything started when I first became vegan. I was looking for a way to transition my industry, my mother was diagnosed with breast cancer, and I found out that my dad had prostate cancer. So when I became vegan, I started by doing a juice cleanse and in the process lost a total of 70 pounds. And then I was like, “How can I stay in this space? 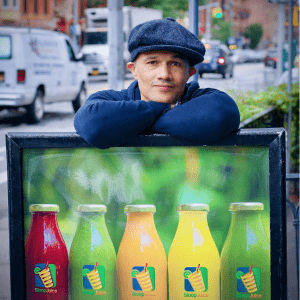 It’s one thing to lose the weight but how can I put myself in a place where I can stay here and lead a sustainable life and be happy?” The idea [to open a juice shop] was planted but I did my research for about a year. And once you opened the shop, what did you serve? Is everything 100% organic? If it’s a fruit or vegetable in the shop, it’s 100% organic. With those ingredients, we make juices and smoothies. In the winter, we do a couple of vegan sandwiches, we do a vegan toasted grilled cheese and a PB&J. In the spring, we do salads with the same produce and we set it up in a way that is grab-and-go. Can you tell us more about your famous juices and smoothies? 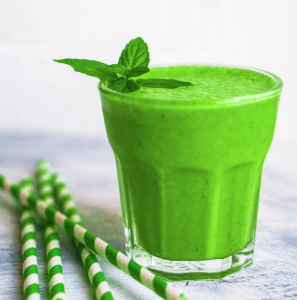 For the most part, what we’re known for is the organic juices and smoothies. We have 9 regular smoothies, 9 protein smoothies, and 9 veggie smoothies. We sell 100% organic smoothies at prices comparable to places where they don’t do organic. So that’s what keeps us real busy in the spring and in the summer and part of the fall. 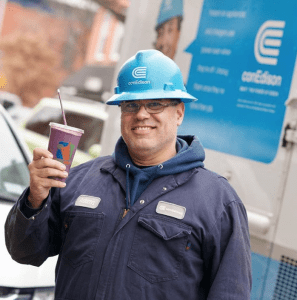 I’ve read in other interviews that it took about 5 years for business at Stoop Juice to really get going. Is that true? It took time for the business to start up. What most people don’t know is that I’ve worked in the shop 7 days a week [since it first opened]. I have people that help me but, because of the realities of my shop, I have to make a choice: if I hire someone full time, I wouldn’t be able to keep the shop open. But I live four blocks away, so it’s not as bad as it sounds. I’m blessed because I’m eating good and I’m surrounded, for the most part, with good people. 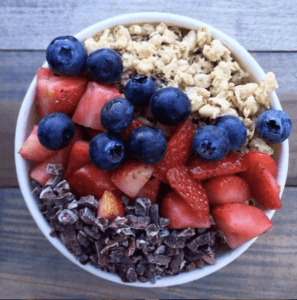 The people who come into the juice bar, they want to eat healthy, they’re coming from yoga or the gym, so their energy is positive and that rubs off on me. I’m a person who believes in energy. What have the last seven years running Stoop Juice taught you? As corny as this sounds, at the end of the day the most impactful thing for me is universal love. That pretty much got me through the first 5 years [at Stoop Juice]. I’m doing something that I like and it’s tough. But having those experiences and meeting all those people has made it worthwhile. And at the end of the day, I’ve been in industries where I’ve made a lot more money, but this is the happiest I’ve been in my entire life. I see my daughter all the time–she probably thinks it’s too much! And along the lines of my family, we’re not the richest but we’re trying to be the happiest. 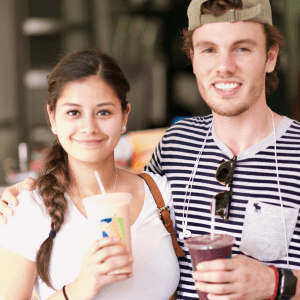 If you have yet to pay Stoop Juice a visit, we suggest stopping by 443 7th Ave. in Brooklyn and grabbing a smoothie and a bite! Thank you, Jose!